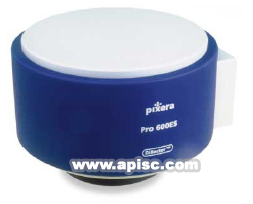 The Pro 150ES & Pro 600ES offers the most versatile price performance solutions for microscopy imaging in Pixers's product range.Both systems will provide you with a very high image quality,ture color 24/48bit RGB,excellent sensitivity and dynamic range,when you need the absolute highest images quality and resolution for archiving,digital zoom in and publishing,the Pro 600ES with maximum resolution of 5.8 million pixels is your best choice.A 24bit,5.8 million pixel capture products a 17.3MB file size,uncompressed. Utilizing the advanced frame averaging and integration functions,the system will enable you to capture fluorescence and darkfield images with reduced thermal noise. Unlike other digital camera systems which increase resolution using software interpolation,the Pro 600ES allows for a true optical resolution of 5.8 million pixels using Pixera's proprietary DiRactor™,light-swing opto mechanical technology.The Pro 150ES offers you up to 1.5 million pixels. Both systems feature a fast 15 frames per second color viewfinder with a numerical alignment indicator that makes it simple to focus.All of Pro 600ES & Pro 150ES pre-exposure default setting are adjustable via easy controls and indicators in the Viewfinder including unlimited saving of prior capture settings for future use. Either camera system is a productivity tool and offers the highest image quality and user friendly controls.